Seoul (April 21, 2005) — Korea will host the 2006 SportAccord in April at the COEX Convention Center in downtown Seoul. With the full support of the Korean government and the city of Seoul, the World Taekwondo Federation won the bid to host the annual SportAccord during the 2005 SportAccord, which wrapped up its five-day event on April 20, 2005 at the InterContinental Hotel in Berlin, Germany. 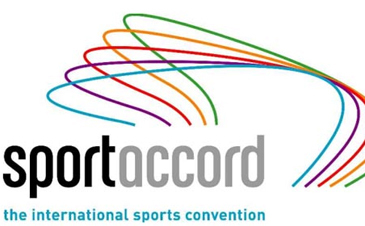 SportAccord, which started in 2003, is an international sports convention combining general assemblies of the General Association of International Sports Federations (GAISF), the Association of Summer Olympic International Federations (ASOIF) and the Association of the International Olympic Winter Sports Federations (AIOWF), and such international conferences as the International Olympic Committee (IOC) Executive Board meeting and joint meetings of International Sports Federations, along with exhibitions. The convention draws more than 1,000 global sports leaders to its open conference sessions, workshops, seminars, and scheduled networking opportunities. The first SportAccord was held in 2003 in Madrid, Spain, with the second one in Lausanne, Switzerland, in 2004. "We proposed holding the 2006 SportAccord tentatively between April 3 and 7 to capitalize on the huge turnout for the ANOC and IOC meetings. 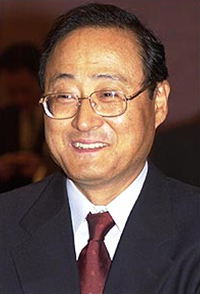 Furthermore the facilities have been set up for the abovementioned meetings, so it would be much more convenient and cost-effective to host the SportAccord exhibitions and conferences," said Dong Hoo Moon, secretary general of the WTF, during his presentation at the 2005 SportAccord in Berlin. Also attending the Berlin SportAccord were WTF President Chungwon Choue, who was reelected to a full four-year term of the taekwondo's world governing body at its General Assembly held in Madrid, Spain on April 12, 2005, and Tae Kang Roh, director of the International Sports Division of the Ministry of Culture and Tourism, who was representing the Korean government. The Association of National Olympic Committees (ANOC) is scheduled to hold its general assembly and other meetings in Seoul from March 31 to April 4, which will be followed by the IOC Executive Board meeting from April 5 to 8. The Korean government has already sent a guarantee letter to ensure the success of the 2006 SportAccord and the city of Seoul has also offered to contribute in the hosting of the convention, according to Moon. Korea's winning the right to host the 2006 SportAccord, sports analysts here predict, would greatly help taekwondo continue to remain on the official Olympic program after the 2012 Olympic Games. The IOC will decide on the issue at its Session in Singapore in July 2005. The hosting would also enhance Pyeongchang's bid to host the 2014 Winter Olympics, which will be decided at the IOC Session in July 2007 in Guatemala, they said. The IOC is scheduled to announce the candidate cities for the 2014 Winter Olympic as its Session in June 2006 in Lausanne, Switzerland.